■ Auto video scaling feature detects and configures the video resolution automatically according to the capabilities of each connected monitor. 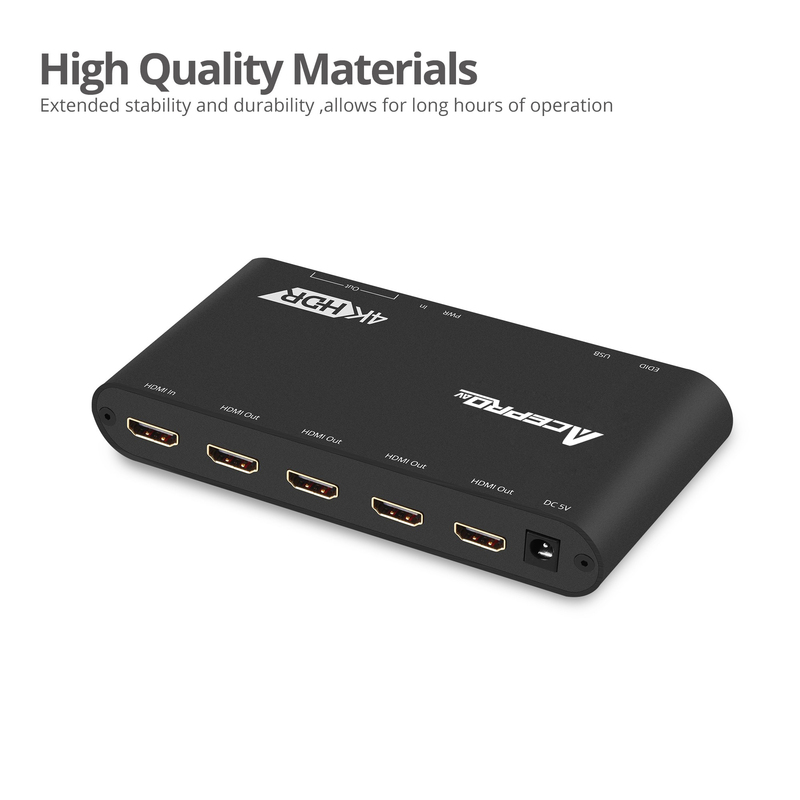 ■ Allows simultaneous 4K and 1080P output. 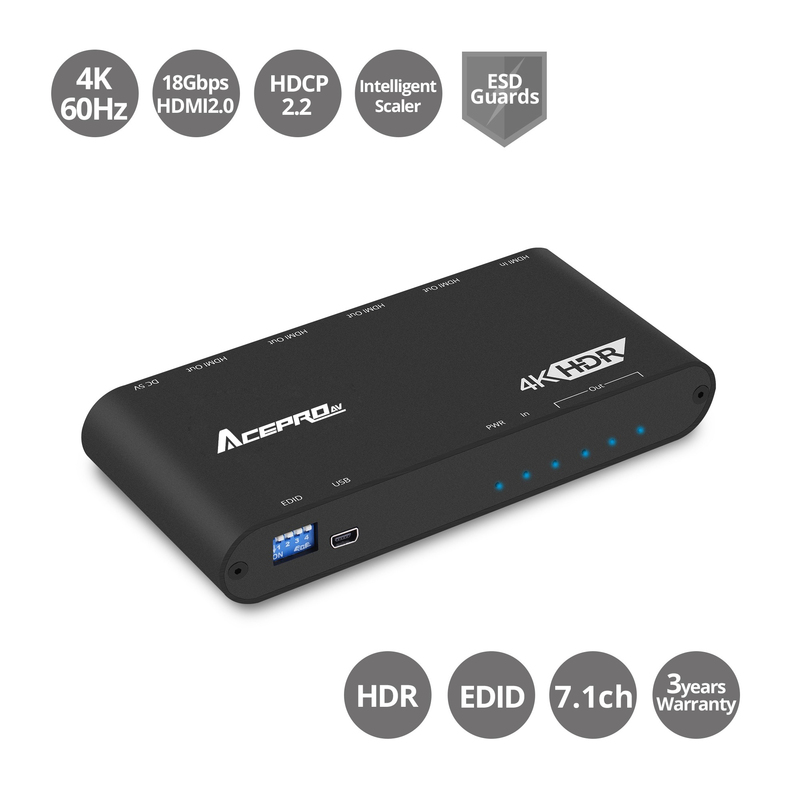 Supports simultaneous mixed 4K and 1080p display outputs. 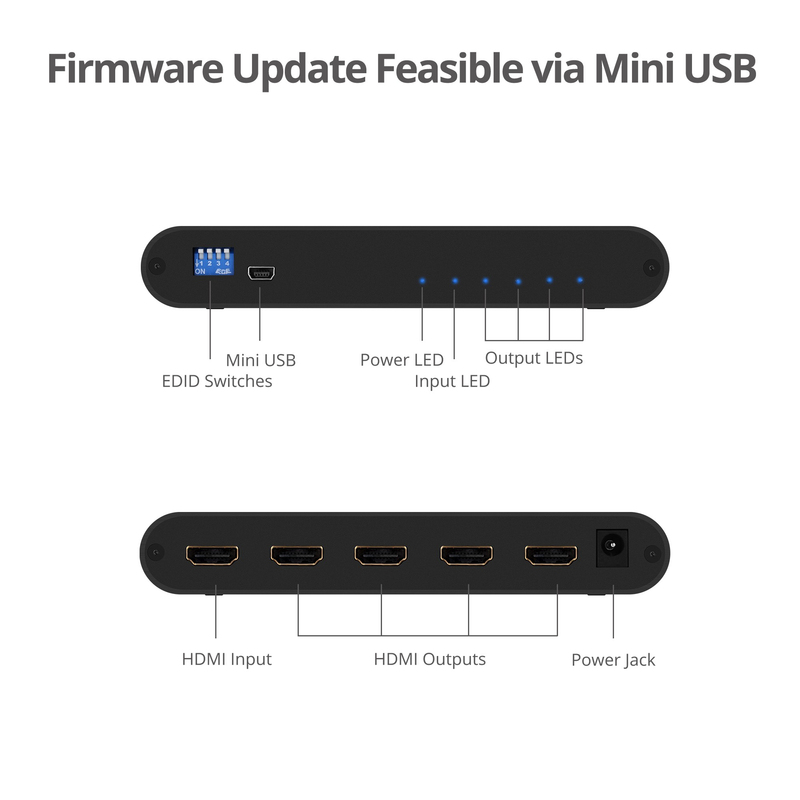 ■ EDID and firmware management feature for maximum compatibility now and into the future, offers widest range of monitor/display/TV support from either pre-programmed EDID or EDID learning from the connected displays. and configures the video resolution automatically according to the capabilities of each connected monitor. 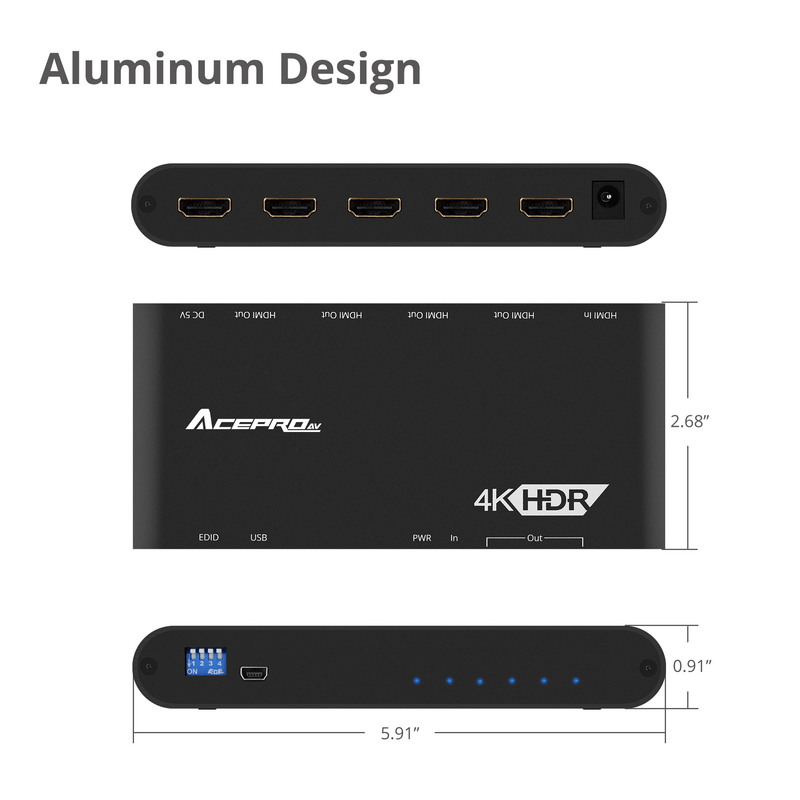 Allows simultaneous 4K and 1080P output. 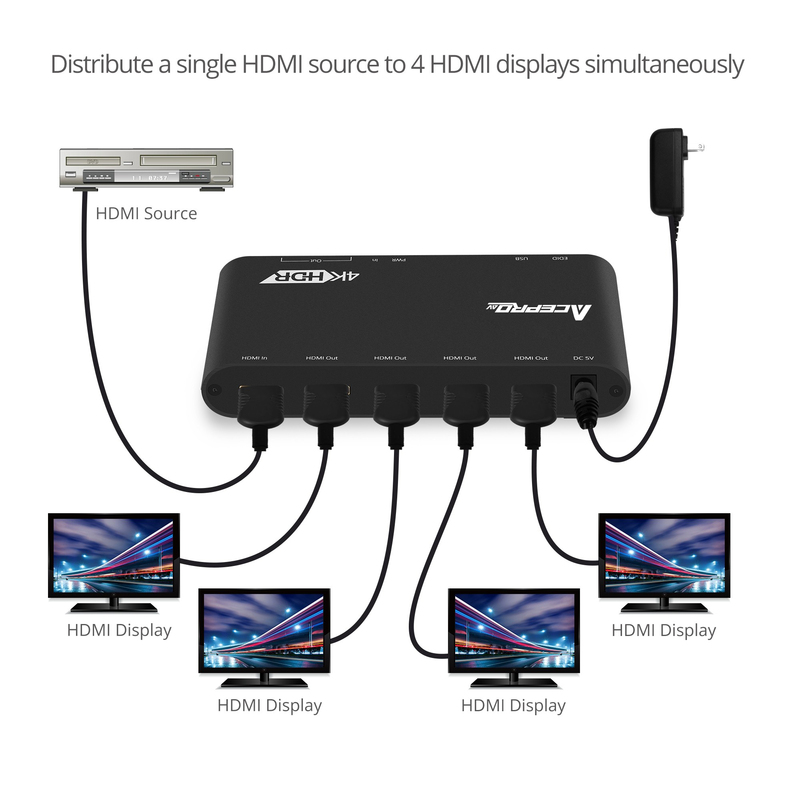 Q: What different between HDMI 2.0 & HDMI 1.4 when use 4K resolution?